Paul Davids thought he had seen it all when it came to YouTube’s copyright protection system. The Dutch YouTuber’s most popular videos include him playing famous guitar riffs, comparing different instruments and teaching various guitar skills and techniques. 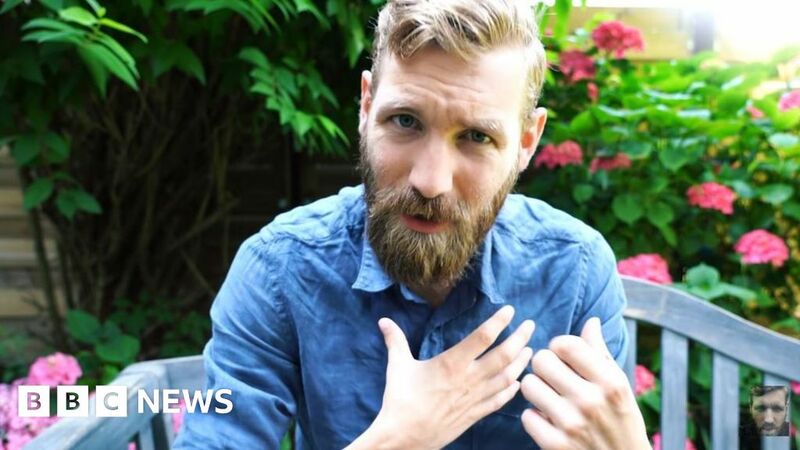 Paul had been contacted by YouTube to advise him that one of his videos had been flagged for copyright infringement, but in his own words, “this was a little different”. The copyright he had apparently infringed upon was his own. “It said what song I was infringing on, and what I found was quite shocking,” said Paul. Paul had been accused of plagiarising his own music – and worse, all the money that video was earning would now be directed towards the person who copied his content. How do people make money from YouTube videos? Despite being faced with a claim of copyright infringement and demonetisation, Paul remained calm. “I looked up the guy on Facebook,” he said. “I wrote him a message. “I asked: ‘Are you aware that you used one of my tracks to publish as your own track? Let me know’. In the end, Paul decided to do the nicest thing he could think of – he let the copycat keep using his song. The BBC has approached YouTube for comment. This is not the first time there has been such an issue with YouTube’s copyright systems. In 2015, Mitch Martinez had monetisation removed from a video after Sony filed a copyright claim against the video he licensed them. And in 2010, pop artist Justin Bieber was caught up in a row with the platform when they temporarily would not allow him to upload his new song – because someone else had uploaded it first. At the heart of the controversy is YouTube’s Content ID system – the automatic process which decides whether a video contains copyright infringement. Steven Bridges, a magician with more than 178,000 subscribers on YouTube, tells the BBC how this might have happened. “Content ID is in place to make sure people don’t use content without permission of the original creator,” Steven explained. “YouTube’s systems automatically scan videos and detect if they’ve got, for example, a pop song in the background. “If the video does, then the owner of the song could be notified, and they can choose whether they want the video to be left online, or whether they want to monetise the video themselves. “It’s a great system but it has its faults. For example, sometimes content can be wrongly demonetised or taken down. Certain companies can ‘claim’ videos if they find copyrighted material in them, regardless of whether YouTube’s Content ID detected it. “The creator has to go through an appeal process if they think it’s been unjustly claimed.